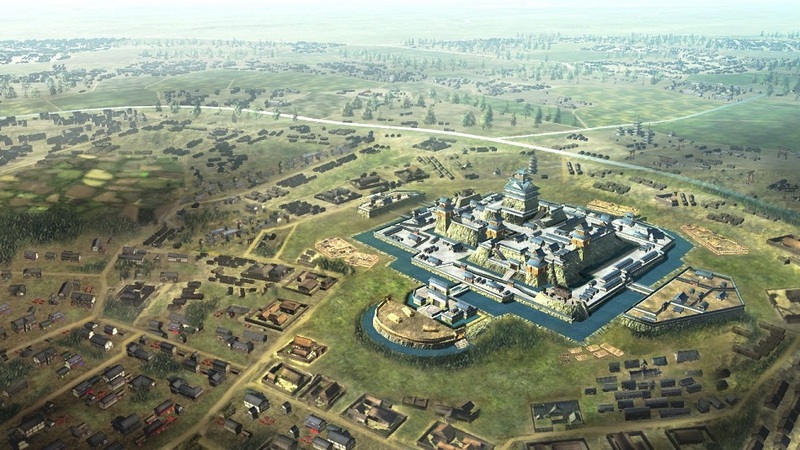 HIGH A fascinating blend of strategy and history rare for console gaming. LOW The real-time tactical combat is often slow and laborious. 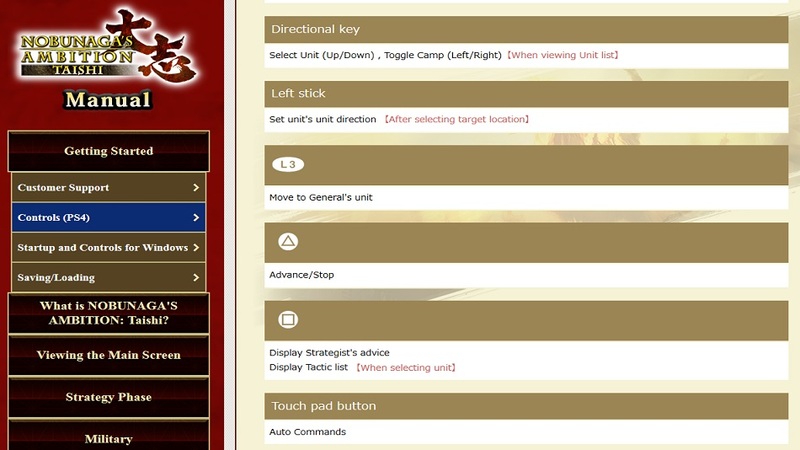 WTF Why are some of the most helpful menus tucked behind DS4 touchpad presses? One of my favorite moments of Nobunaga’s Ambition: Taishi happens in its opening video, mere moments after firing up the game. Much like the song that introduces Gaston in Disney’s Beauty and the Beast, this cinematic opening presents the legendary Nobunaga Oda as a man above all other men — no one swims like Nobunaga, no one rides like Nobunaga, no one frantically eats bowls of rice like Nobunaga. Then he releases a falcon into the air and, FWOOSH, that bird is quickly flanked by rays of blue light crisscrossing the countryside to form elaborate grids and icons, spreading his vision of a unified nation upon a wave of rich orchestral accompaniment. The unification of Japan is a dream that Nobunaga never got to bring to fruition, but it’s been the premise for Koei Tecmo’s Nobunaga’s Ambition franchise ever since Kou Shibusawa packed Sharp MZ cassettes of the series’ first game into mail orders back in 1983. 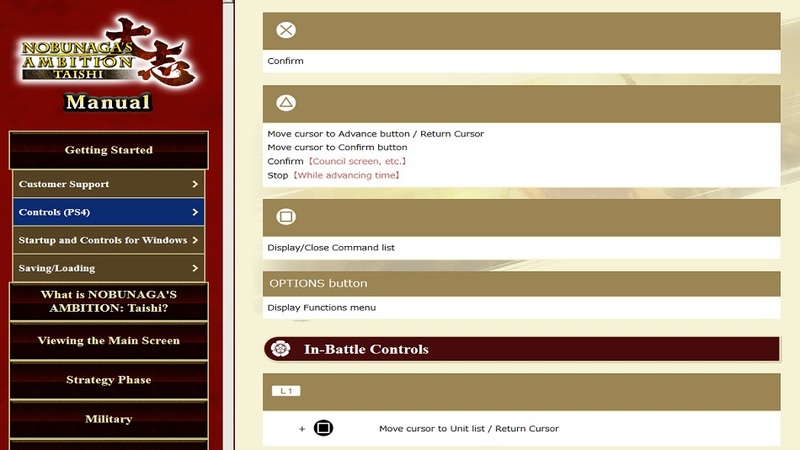 Set in the Sengoku period of Japanese history, this is a turn-based grand strategy series that places the player in the role of a daimyo, a lord that oversees one of many clans fighting over a nation left in disarray by a weakened shogunate government. With each turn representing one calendar month, players navigate an array of complex menus to manage agricultural, commercial, domestic and military policy decisions for each city in their clan’s territory. Though it’s the fifteenth game in the series, Taishi still provides new twists on its long-standing concepts. The council system from previous entries is reimagined as a navigable tree of policy decisions bought with policy points generated by officers at council meetings every three months. Meanwhile, the agricultural system requires the player to commit labor resources to various tasks for each season of the year, locking those resources into place like a worker placement-style board game. 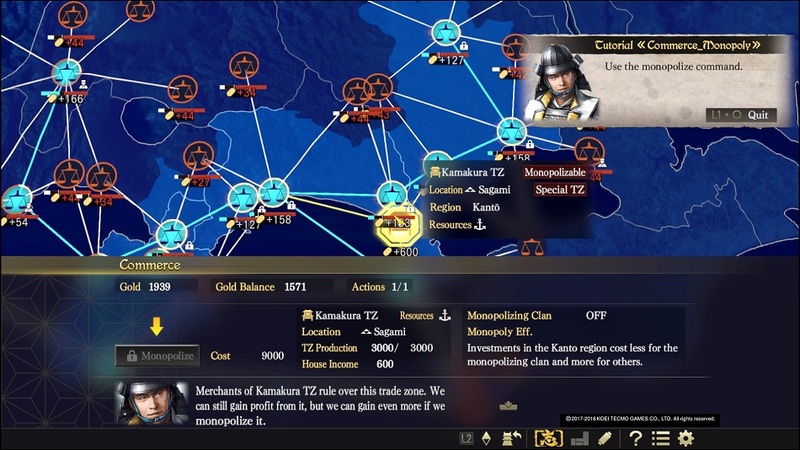 Some of these twists even call back to deeper cuts in Koei Tecmo’s history — the sprawling networks of trade routes created through Taishi’s commerce system are reminiscent of the airline networks from 1992’s Aerobiz. These systems feed into a strategic layer that forces the player to solve some interesting logistical problems, as every military action taken is incredibly slow. Troops can take weeks to gather at a staging area, then even more time to march to a battle, quickly burning through provisions earned from yearly harvest and trade. Luckily, players have perfect information about the opposition’s movements as well, which can make Taishi’s military strategy feel like long-form chess when multiple armies are on the move and the stakes are high. Once the battles begin, though, the hybridization of real-time and turn-based aspects in Taishi’s “we go” style tactical combat provides a fine-grained level of control that quickly degenerates into busywork. 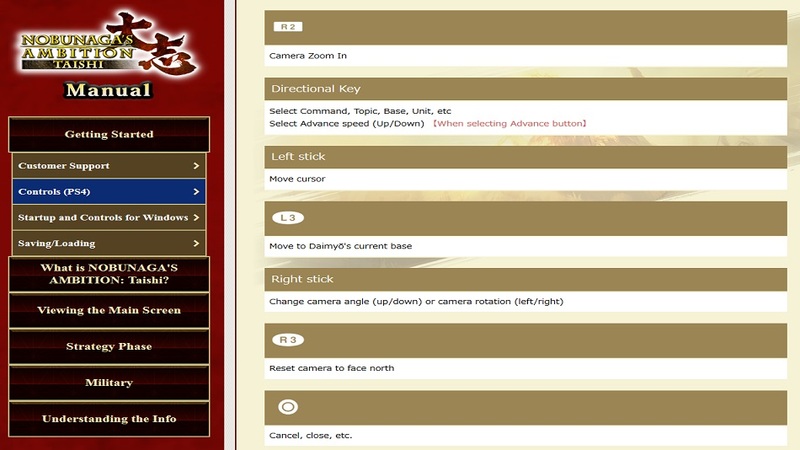 At the beginning of each turn, players provide orders to units, managing their range of vision and movement speed. Once these orders are confirmed, the turn resolves in real time with all units on the field moving simultaneously. If a player has positioned their troops carefully, the units can pull off pincer attacks or ambushes that sink the opposition’s morale — the most important condition for victory. If the player raises their morale all the way to 100%, then the opponent’s morale is 0% and the player wins the battle, no matter how badly they’re outnumbered or outgunned. With morale taking center stage in battles, all of Taishi’s special unit abilities and intricate systems for terrain and weather impacts give way to a laborious game of cat and mouse that encourages players to meticulously arrange units into the same set of morale-boosting attacks over again and again. Any battle can be simulated (and thus skipped) to avoid this drudgery, but sometimes victory is impossible through simulation and players will have no choice but to play through real-time battles that can last up to fifteen minutes each. The inefficiencies in the combat engine are only exacerbated by how much the game relies on it — head-to-head battles are the only option for carrying out a campaign, as players can’t destroy enemy facilities to improve a tactical position. The concept of disrupting enemy supply lines occasionally shows up in council policy proposals, but only as an indirect effect. Players can’t see an enemy’s provisions to confirm if those policies are effective, or if enemy clans are even bound to the same rules as human players when it comes to provision requirements for troops. Furthermore, by positioning warfare as the most direct avenue for victory, Nobunaga’s Ambition ends up glorifying the imperialism that is typically at the heart of the grand strategy genre. Even though I conquered dozens of cities throughout my playthrough, the only resistance I ever received from my citizenry came when I mismanaged a harvest or when I let a war against an opposing clan go on so long that the people grew bored with fighting it. The repercussions of warfare and subjugation are so abstracted here that the only meaningful element of humanity comes from the historical figures that carry the daimyo’s banner as officers. These officers grow old, have children, and improve their skills over time as they carry out various tasks for military engagement or domestic improvement, adding a bit of historical character and texture. Disclosures: This game is developed and published by Koei Tecmo. It is currently available on PS4 and PC. This copy of the game was obtained via publisher and reviewed on the PS4. 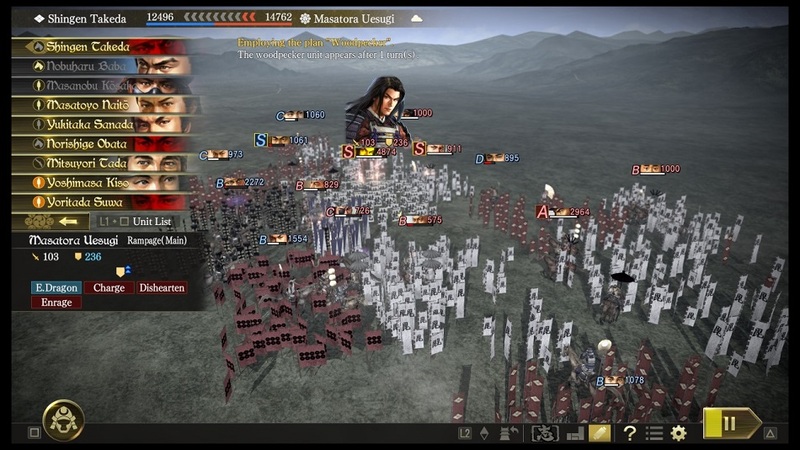 Approximately 50 hours of play were devoted to the single-player mode, and the game was completed (Kawagoe Night Raid scenario finished on Normal difficulty after 400 turns / 40 hours via war ban declaration). There are no multiplayer modes. Parents: According to the ESRB, this game is rated T and contains Mild Violence. The ESRB’s description for this rating is as follows: This is a strategy game in which players develop and guide their clan in order to take over feudal Japan. 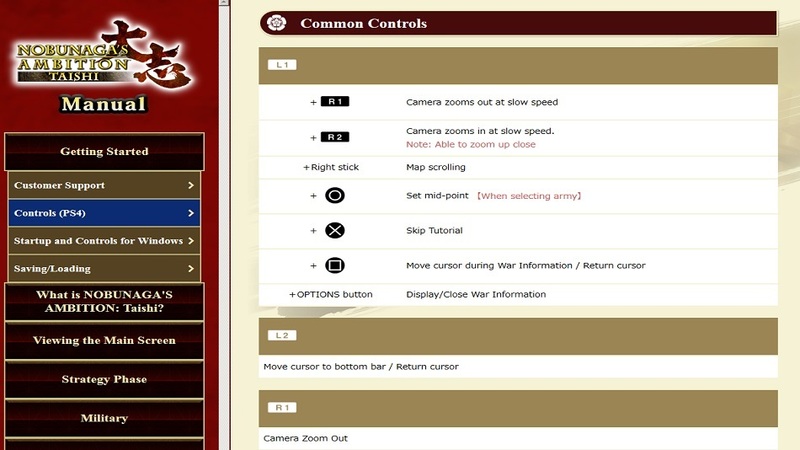 Players can maneuver soldiers on maps of battlefields while issuing commands to invade and conquer surrounding areas. Small figures are sometimes shown shooting at each other; realistic gunfire accompanies many battles. Some cutscenes depict brief instances of violence: a soldier slashing at a foe; a soldier beheading another character (offscreen) before bringing the head to a commander. Good, informative review. How does it measure against Sphere of Influence?